Written by Kim Potgieter on September 18, 2017 . Posted in Play. Women’s Day comes at the perfect time of year for me. It’s when the cold of winter starts to settle, when our hearts and minds are readying themselves for spring. The light changes; new colours start to shoot – and all of it speaks to the beauty of rebirth. This Women’s Day saw us hosting an art day with some clients. To be honest, my initial response to the idea was a “No.” Painting? In front of other people? That wasn’t something I felt comfortable with at all. Never mind that I tell clients in our planning meetings to step out of their comfort zones, right? “You don’t have to be perfect at something to do it,” I say to them. I mean, “What’s the worst thing that can happen?” I ask. Well, the worst thing that can happen is that you have a lot of fun! Never mind that I didn’t really want to. I did it anyway. And so the day got underway. I found myself telling anyone who would listen that ”I’m really bad at painting” or “I’m not at all artistic.” And because I was operating from a place of what others thought of me, and not from my heart, the painting I was doing was coming from my head, if that makes sense. And that’s exactly what my canvas was reflecting. At some point, I had to stop myself. What a waste of a day it was going to be if I wasn’t open to enjoying it. 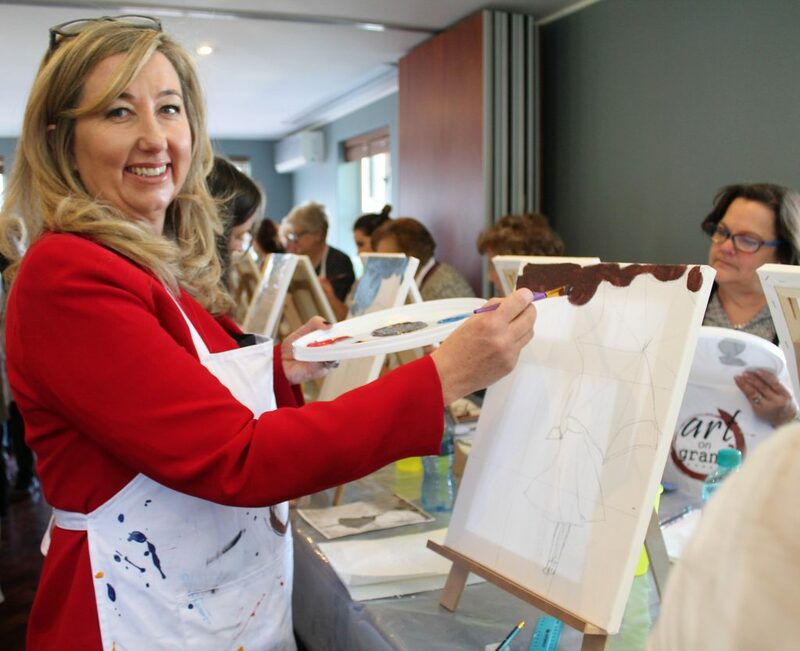 There I was, giving clients advice on how to live their very best life – and I couldn’t get through a day with a canvas and a couple of colours. So, I took a deep breath, decided to settle into my surrounds and just ease into the experience. I took in the sights and the sounds; the laughter of precious clients enjoying a bit of artistic abandon. And am I glad I did! I enjoyed the people – and I loved the painting. 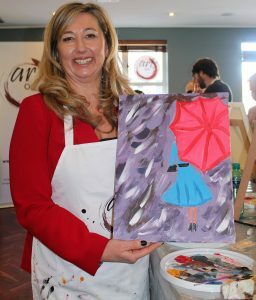 The picture I painted was of a lady with an umbrella. Is it is perfect? Of course not. But that’s the beauty of it. In it, I see much more than someone holding an umbrella. I see a woman who lifted her umbrella – and her heart – up to an open, blue sky. She closed her eyes, took a deep breath and just abandoned herself to the moment. So, this Women’s Day, I found out – first-hand – that playing (in this case, painting) can, and should be, purposeless. And without perfection. And that therein lies the purpose. The beauty lies in the variety!